Bondy Home and Garden at Adelaide can help you with General Household Repairs, Lawn & Garden Care, Lawn Mowing, Lawn Edging, Leak Repairs, Fencing Repairs, Pressure Cleaning and Property Maintenance. 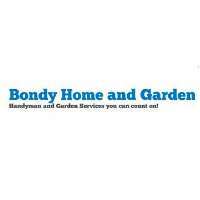 Bondy Home and Garden can assist with all of those handyman jobs around your home or business. Whether it be those small annoying jobs or those larger jobs that you never seem to get time for, we offer a solution to assist in all of your needs. Bondy Home and Garden offer a complete maintenance program to suit the needs of your home or business. A garden maintenance program can be tailored to suit your individual needs. This can be combined with any on call handyman services that may be required. Call Bondy Home & Garden now to discuss with us to tailor an independent solution.